Former model and actress Anita Pallenberg, best known for her relationships with members of the Rolling Stones, has passed away at the age of 73. Anita Pallenberg’s death was made public by Stella Schnabel, daughter of painter and film director Julian Schnabel, who said she had “never met a woman quite like” her. Anita Pallenberg was the girlfriend of Brian Jones but left him for fellow Rolling Stone Keith Richards. The former model was also alleged to have had an affair with Mick Jagger while they were making 1970 movie Performance, though she always denied it. Born in Rome in 1944 to German and Italian parents, Anita Pallenberg began her career as a model and spent time in the 1960s at Andy Warhol’s famous Factory. Anita Pallenberg met Brian Jones in 1965 but left him two years later for Keith Richards. 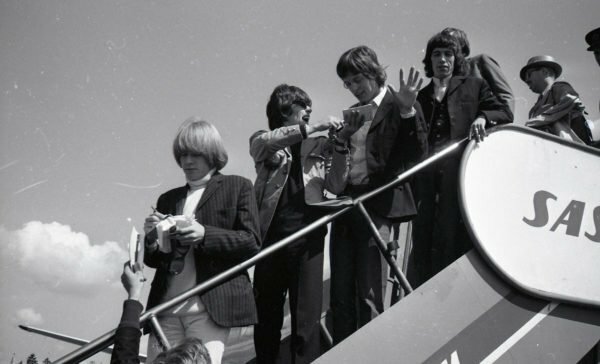 Brian Jones went on to leave the band and died shortly afterwards. In his autobiography, Life, Keith Richards described Anita Pallenberg as a “very strong” woman who was “extremely bright” and “a great beauty”. Keith Richards and Anita Pallenberg had three children together, one of whom died as an infant, before they finally separated in 1980. Anita Pallenberg sang backing vocals on classic Rolling Stones track Sympathy for the Devil and was said to have had a “profound” influence on the band by their one-time PA Jo Bergman. She had roles in movies including 1969’s Barbarella and 2007’s Mister Lonely. Anita Pallenberg was accused of manslaughter in 1979 after a man named Scott Cantrell killed himself with her gun in the New York home she shared with Keith Richards. Known for her colorful lifestyle and fascination with black magic, Anita Pallenberg sought help for her addictions in 1987 and went on to study fashion at Central St Martins in London. Anita Pallenberg is survived by her two children and five grandchildren.